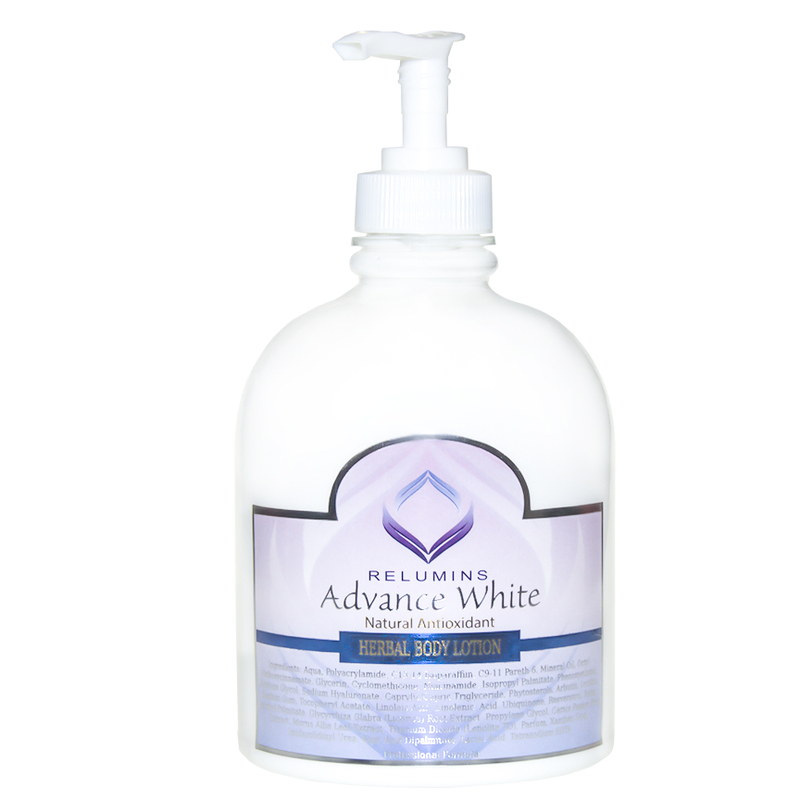 Benefits of Relumins Advance White Natural Antioxidant Herbal Body Lotion - Large 500ml Bottle! 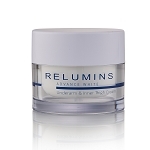 - Helps reduce the appearance of dark spots and hyperpigmentation. - Tocopheryl Acetate – a known antioxidant and moisturizer. 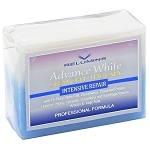 - Helps reduce the overall appearance of melanin formation and produces excellent effects in skin whitening. Aqua, Polyacrylamide, C13-14 Isoparaffiin, C9-11 Pareth-6, Mineral oil, Octyl Methoxycinnamate, Glycerin, Cyclomethicone, Niacinamide, Isopropyl Palmitate, Phenoxyethanol, Butylene Glycol, Sodium Hyaluronate, Caprylic/Capric Triglyceride, Phytosterols, Arbutin, Lecithin, Xanthan Gum, Tocopheryl Acetate, Linoleic Acid, Linolenic Acid, Ubiquinone, Resveratrol, Rutin, Ascorbyl Palmitate, Glycyrrhiza Glabra (Licorice) Root Extract, Propylene Glycol, Carica Papaya Fruit Extract, Morus Alba Leaf Extract, Titanium Dioxide (Lenolite TO), Parfum, Imidazolidinyl Urea, Kojic Acid Dipalmitate, Lactid Acid, Tetrasodium EDTA. Apply liberally all over the body, ideally after shower or bath on damp skin for maximized skin moisturizing and softening effects. Best used after Relumins Stem Cell Soap.